ConceptDraw DIAGRAM is a professional flowchart software. The built-in examples allow users to start drawing any type of flowchart simply. The vector stencils from object libraries are pre-designed objects you can use adding to flowcharts for the best result. Flowchart diagrams are widely used for designing, documenting, analyzing and managing the complex processes, and programs in various fields such as education, business, software development, analytics, engineering, architecture, science, manufacturing, and administration. 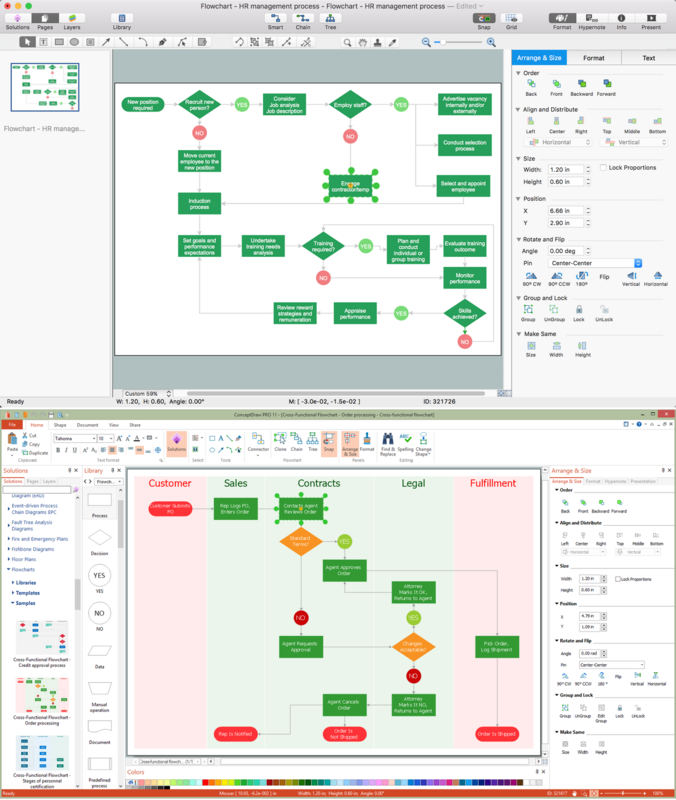 The Flowcharts Solution for ConceptDraw DIAGRAM is a comprehensive set of examples and samples in several different color themes for professionals that need to graphically represent a process. Solution value is added by basic flow chart template and shapes' library of Flowchart notation. ConceptDraw DIAGRAM flow chart creator lets one depict a processes of any complexity and length, as well design of the flowchart either vertically or horizontally. Draw your own business process flowcharts using ConceptDraw DIAGRAM diagramming and business graphics software.